The Rampant Lion steel battle shield measures 18 inches across and 24 inches high. This SCA shield is constructed of 16 gauge steel and has a curved shape which represents a classic heater medieval style shield. The Rampant Lion steel battle shields are hand painted by our artist with great attention to detail and then sprayed with polyurethane to preserve the artwork. 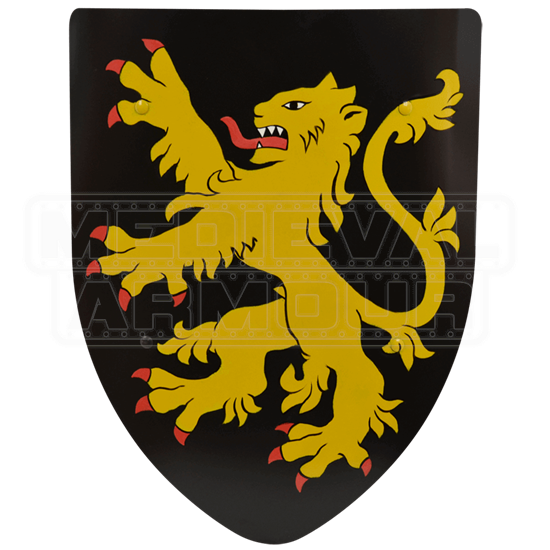 The Rampant Lion steel battle shields available in either a wall display version with a chain from which to hang it or a hand held, battle-ready version with heavy duty, 1.5 inch leather straps on the back. 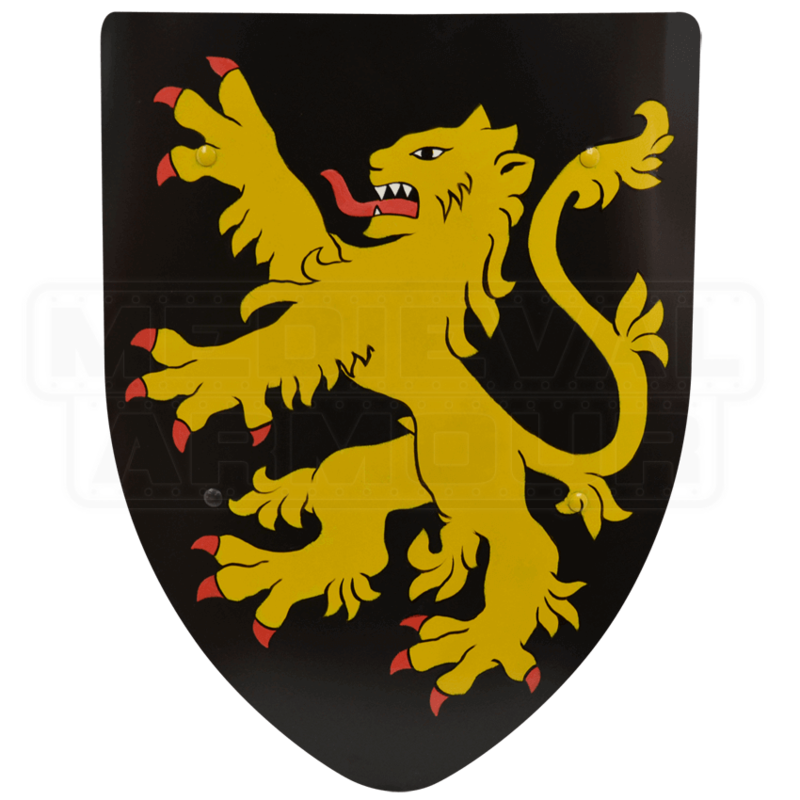 Order the Rampant Lion shield version you desire above.